In addition to the Summer League ski racing season, there is an opportunity for ERSA region skiers to participate in the winter race season on snow and we hope this page will provide you with some background. Quite a number of the regions’ skiers of all age categories from Minis to Masters now participate in a number of races across Europe. The Winter Season Calendar traditionally kicks off with the BARSCS (British Alpine Racing Ski Championships) Junior FIS and Children Championships around the New Year, which is now held at Petzen in Austria. Unfortunately this year the races had to be cancelled at the last minute due the lack of snow! 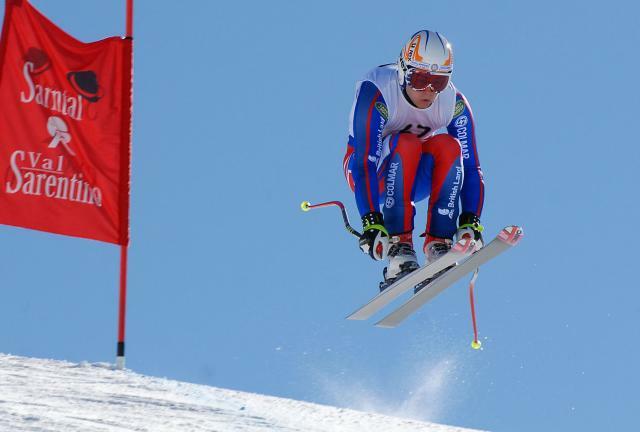 The race is a FIS/BASS (British Alpine Seeding System) seeded race which means that new racers have the opportunity to reduce their seed points early in the season and it is also a selection race for the GB Children’s team based on Podium positions. In 2011 this race will be taking place at Champoluc, Italy between 2nd and 7th January. More information about this race can be found here. Next on the Alpine Race Calendar is the Anglo –Scottish Cup held at Les Houches, France, traditionally the first week after the New Year. This race is a BASS race aimed specifically at children and has become increasingly popular with ERSA region skiers with more entering each year. January is a busy month for races, from the Anglo –Scottish to the Welsh BASS Alpine Championships at Champery, Switzerland, followed in quick succession by the British Schoolboys’ International races and the British Schoolgirls’ Races at Meringen, Switzerland and Flaine, France. There were skiers from ERSA at all these races this year. In February half term Juniors, Children and Minis all descend upon the English Alpine Championships which are held at Bormio, Italy and have been for the last two years. It is a beautiful resort in the Sondrio province in Northern Italy, cheaper than France and a very friendly place too. It is not an easy resort to get to but is certainly worth the effort for the skiing and ambiance. March this year saw an additional BASS race added to the calendar in the form of Aiglon College Cup, in Villars, Switzerland. A few of the children from ERSA who were based out at BSA in Les Houches were taken over there to compete; this race is due to be held there for the next 3 years, so many more may follow. The next set of races is seen as the finale to the Winter Season – The British Land Ski Championships, based in Meribel France and the Scottish Championships based over in the next valley in Courchevel. Both races have separate Junior/Senior FIS and Children’s races. There are races organised for Minis too in Mottaret, higher up in the Meribel valley – so something for everyone.